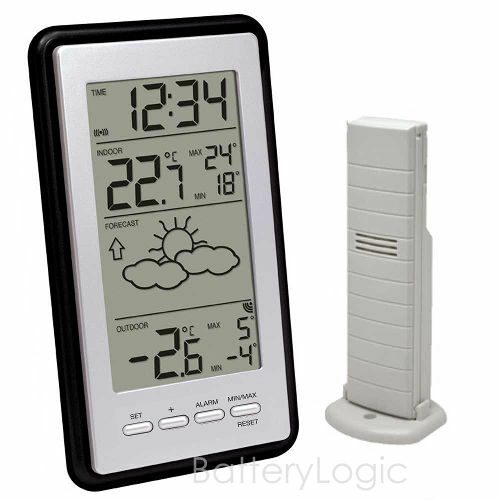 The Technoline WS-9130 weather station displays both indoor and outdoor temperature (via the included wireless temperature sensor) on its super clear display. Extremely accurate radio controlled clock automatically updated via the DCF-77 atomic clock timing signal. Records and displays the minimum and maximum temperature range for both the indoor and outdoor temperature. The outdoor sensor has a maximum transmitter range of 100 metres. Barometric weather tendency prediction display based on changes in air pressure.